In 2006, Ford Motor Company announced the closure of its assembly plant in Hapeville, Georgia, directly adjacent to Hartsfield-Jackson Atlanta International Airport. Jacoby Development acquired the site, demolished its structures, and put together an ambitious redevelopment plan for it. In 2011, Porsche Cars North America announced the plan to develop a new North American headquarters facility at the site, which includes a 220,000 SF headquarters office building, the Porsche Technical Training Center, and the Porsche Customer and Driving Experience Center, featuring a 1.6-mile test track and handling circuit. Porsche opened its $100 million facility in 2015 to great acclaim, and an adjacent hotel is set to open in late 2017. These investments have been catalysts for additional investment and commercial development around the airport. 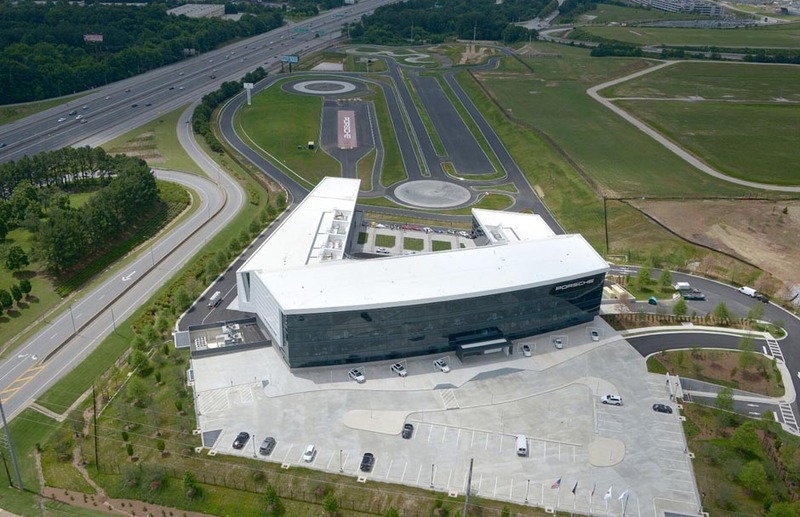 Porsche Cars North America headquarters office building, training center, customer experience center, and test track on highly visible site adjacent to Hartsfield-Jackson Atlanta International Airport.